VOICE STYLE/TYPErnJames Holmes is a versatile voice actor with a wide range and has been described as friendly, relatable, soft sell, hard sell, authentic, genuine, believable, guy next door style, sincere, hip, cool, corporate, business like, authoritative, knowledgeable, high energy, sophisticated, accessible, knowledgeable, Promo, Urgent, soft sell, hard sell, promo, urgent, and educational.rnrnHe is consistently cast for a wide range of age requirements including male 30's, 40's, 50's and 60's (30 - 70). His style could be closely compared to Tim Allen, Jeff Bridges, Alec Baldwin, George Clooney, Mason Adams and Kevin Bacon.rnrnPERFORMANCE CAPABILITIESrnTrustworthy Sincere and Believable are the first words that comes to most client's minds when describing James's voice. Authoritative, Fresh, Powerful, Friendly, Relatable and Energetic are also accurate.rnrnIf you need a voice over for a commercial, corporate narration, TV project, white-board animation, video, e-learning, explainer video, internet video, training video, educational script, tutorial, gps, technical, legal, medical, mobile app (ios or android), talking toy, game character, cartoon, radio imaging, IVR Prompts, on-hold message, direct response ad (DR), or high powered promo...James will deliver an excellent performance.rnrnBUSINESS PHILOSOPHYrnJames considers clients partners. Working together should be as easy as if you were working together in the same office. Communication is frequent and work is completed promptly (often the same day). You never have to guess on the progress of your project or worry if it will be completed on time. James delivers on-time and in-budget EVERY TIME!rnrnCUSTOMER SERVICErnJames strives to exceed your expectations in every way. 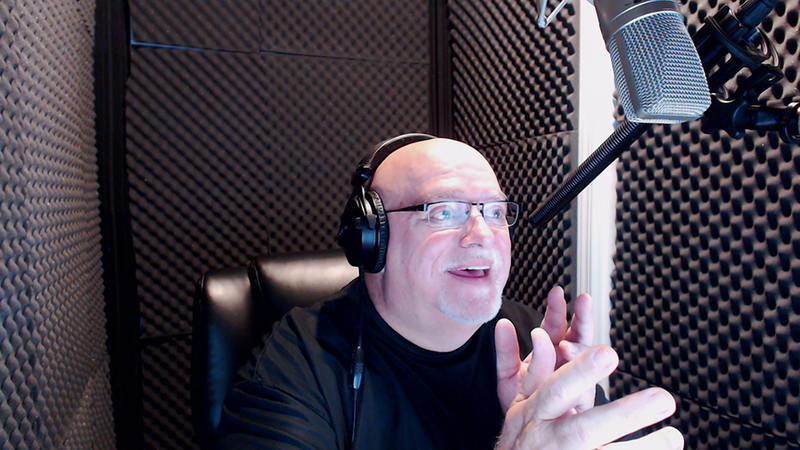 He offers a COMPLETE SATISFACTION GUARANTEE If you are less than thrilled, in any way, at any time, contact James and he will address the issue immediately!rnrnSTUDIO AND AUDIOrnJames realizes the voice over is more than a great read. Clients expect high quality, pristine audio, and that is exactly what you can expect from James Holmes every time! Voice overs are recorded inside an ultra-quiet acoustically treated custom built Whisper Room using the finest equipment and software including a UA-87 Condenser Mic or a Sennheiser 416 shotgun microphone depending on the read for world class audio. His studio is equipped with Source Connect, ISDN (via Source Connect Bridge), Phone Patch and Skype allowing you the option to direct the session from your location.